If you’ve spent time, effort, and money growing gorgeous vegetables in your yard, the last thing you want is for someone or something to damage them. You grew them to be able to enjoy them, and if they are inedible due to animals, people, or the weather, it will be hugely disappointing. There are some excellent ways to ensure your vegetable garden is as protected as possible, allowing you and your friends and family to cook what you have grown, as outlined below. Although a fence won’t stop birds from pecking at your fruit and vegetables, it will prevent larger animals such as deer and dogs from getting into the area and eating what you have grown or digging it all up and destroying it. It will also show people that this is a protected space and that they shouldn’t go through the gate unless they have some business there. It means the kids can play in the yard and not accidentally trample on your produce, for example. Erecting a fence is something that most people can do themselves, and there aren’t many components required. Call in friends and neighbors to help you and offer them some of your produce in return, and it can be done quickly and efficiently too. If a fence isn’t going to work for you due to space, for example, you can stop critters from eating your vegetables by planting prickly plants in between the rows. Doing so will prevent them from being able to get too close, and they should learn that it’s just not a good spot to get any food from. Make sure that whatever you pick looks good as well as feel spiky. You won’t want to be looking out of your window and seeing a messy vegetable patch full of weed-like plants just because you want it to be left alone. Plus, you’ll need gloves when tending to the area, so make sure you have some sturdy ones to hand. If you can identify the culprit, then it will be easier to come up with a way to deter them from damaging what you are growing. 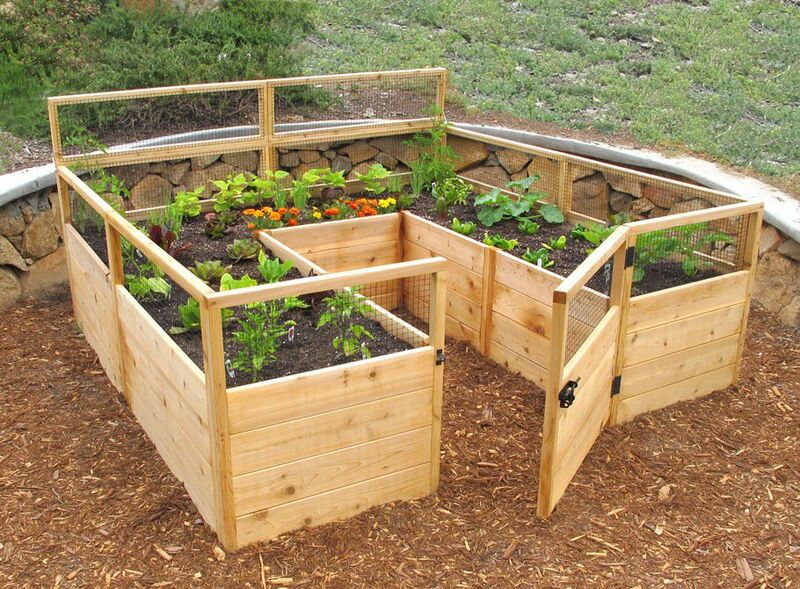 If the problem is rabbits, for example, raised beds can be an excellent way to stop them from nibbling the vegetables. They won’t tend to jump up when they can get other food for less effort elsewhere. Planters can look very attractive in a garden, and they free up space, so even if the problem isn’t rabbits, you might want to consider this option anyway. Collecting compost is an excellent way to gain nutrient-rich plant food, plus it’s great for the environment. It needs to be kept in a proper, sealed container though. If not, it can actually attract animals and rodents towards your yard and once there, they will quickly make their way to your vegetable patch. If the compost is kept locked away, they won’t be able to catch the scent so easily, and they might even bypass your yard altogether.